Respect is one of the values that you instill in your child as no parent wants to have a child who is disrespectful, but what does respect really mean? It is simply how you feel about someone and how you treat that person. In other words, you show respect to someone by acting in a way that shows you care about their feelings and well-being. 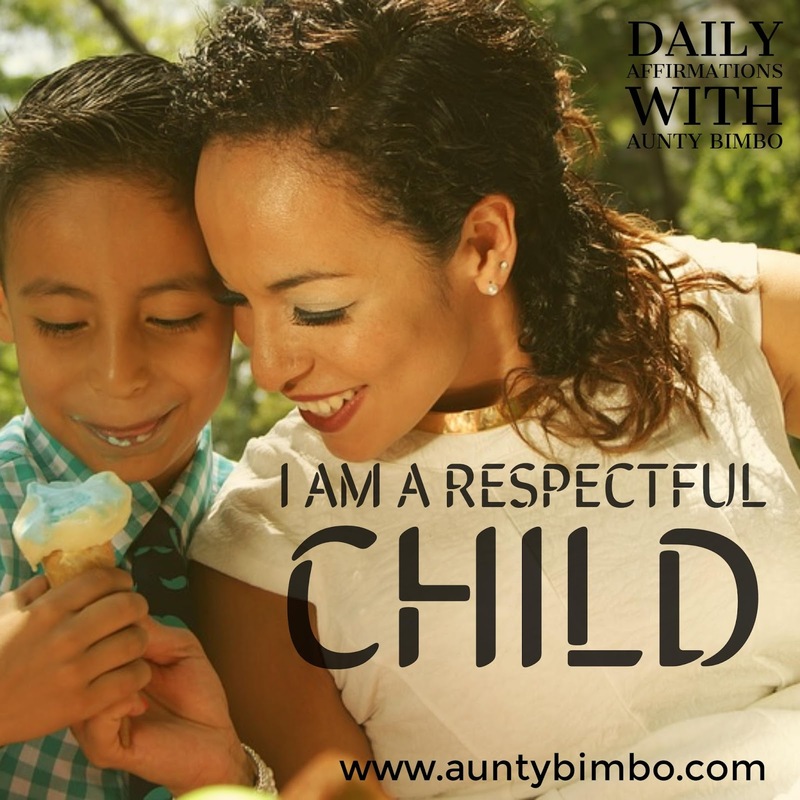 As a parent, it is your job to teach your child how to respect others and how to have respect for him/herself as well.You need to help the child understand how to show respect for others by not calling them names or speaking rudely to them. They also need to understand that respect involves thinking and acting in a positive way. Children are NOT born with an in-built sense of respect so rather than assuming that they know this, you need to teach them how to be respectful of other people. In recent times, it is not strange to see some children being disrespectful e.g arguing with adults, using foul language or not having regards for those in authority. This simply shows that as parents you need to go the extra mile to teach your child how to be respectful from a very young age. Getting them to say the affirmation, I AM A RESPECTFUL CHILD regularly will also help the child want to live up to this positive statement. This is because affirmations can positively program your child’s subconscious mind and influence them to create a specific outcome. Another way to teach your child how to respect others is by teaching them basic manners like saying “please”, “thank you” and “sorry” when necessary. Learning this teaches them empathy and how to put themselves in someone else’s shoes and not deliberately hurt them. This is because showing kindness and courtesy shows consideration and respect of their feelings. The sooner you start teaching your child(ren) how to show respect from a young age, the better for them and also for you.